This Stunning T Bar High Heel Shoe Features an Attractive Adjustable Side Buckle Ankle Strap. 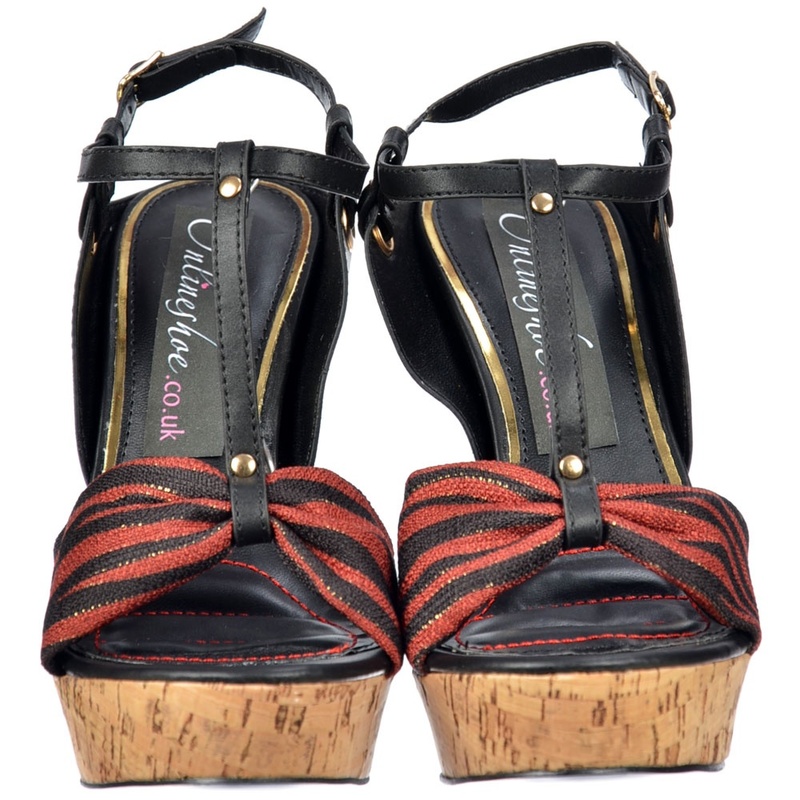 The Shoes Also have A Fabulous Cork Heel and Matching Cork Platform. The Front Features Rouched Black and Red Toe Detail. Also Available in Other Colours.